Saving and Investing: What is a Mutual Fund? Where did mutual funds come from? According to this Investopedia article, their origins are sketchy. Some people cite King William I of the Netherlands, who in 1822 created an investment company resembling a modern-day mutual fund. From that point, the concept of pooled investments spread to Switzerland, Scotland, Great Britain, and France. Similar companies bean to appear in the U.S. at the end of the nineteenth century, but the first actual mutual fund was the Massachusetts Investors' Trust, founded in 1924. Index funds, which Michael will discuss tomorrow, were created in 1971, and popularized by John Bogle, the founder of The Vanguard Group. CNN Money has an entire section devoted to mutual funds. 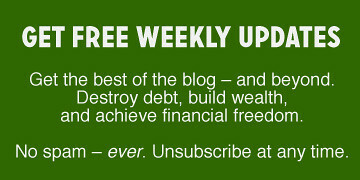 Business Week offers a free on-line mutual fund scorecard. Yahoo! Finance offers a variety of mutual-fund tools to help you find one that is right for you. There are 4 reader responses to "Saving and Investing: What is a Mutual Fund?". I hope you are going to talk about ETFs….? ETFs make way more sense for long term taxable accounts (think non-retirement accounts where you are investing, say, your annual bonus all at once). Mutual funds aren’t so bad actually, as there are many mutual funds that are pretty good. ETFs are more tax efficient but does not always mean a better return so take a look at the mutual funds also. does anyone have advice on which retirement firm to invest in for a traditional ira.